Amber is cherished for its contributions to fossil records. 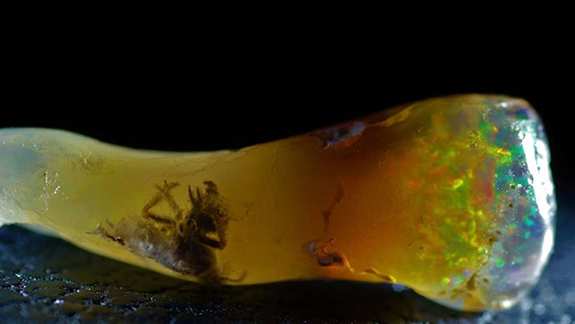 Researchers have recovered extraordinary amber fossils featuring spiders, wasps, ants, and even a lizard. According to Vasika Udurawane at Earth Archives, petrified tree resin starts out as a viscous liquid, slowly hardening… and preserving the entrapped remains of creatures that find themselves caught up in the process. 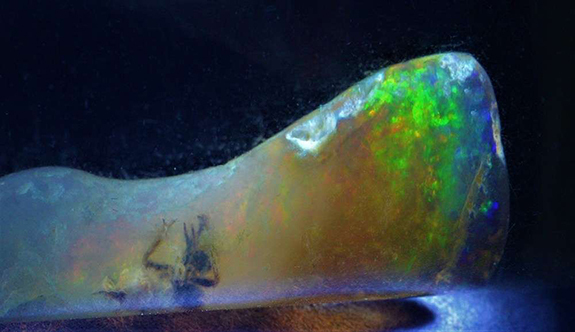 “If the process of formation is correct, from tree sap with an insect through a sedimentary process, to copal (resin), to amber, to opal, it could mean the insect has the possibility to be one of the oldest ever discovered,” Berger said.